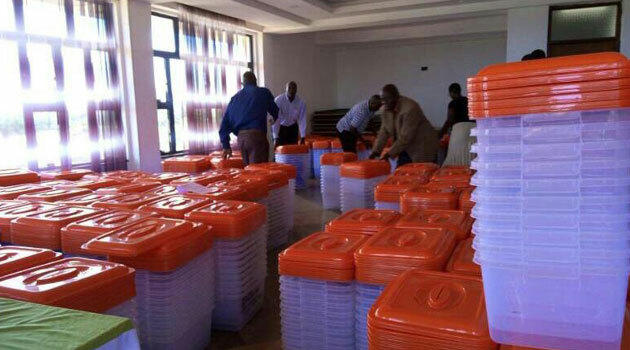 Probe ballot stuffing claims ODM officials to police – Kenyatta University TV (KUTV). All Rights Reserved. A section of Orange Democratic Movement (ODM) officials have now come out to ask for a thorough probe into party primary rigging claims, this coming after Migori Governor Okoth Obado, MPs Dalmas Otieno and Jared Kopiyo claimed that some candidates were planning to resort to dubious methods to party clinch nominations. South Sakwa Ward ODM secretary Mr. George Odede admonished politicians who were making such allegations on the campaign trail, saying such statements were parking unnecessary fear among party member, adding that such tension is likely to cause chaos during party primaries. Mr Odede urged politicians to follow due process by filling electoral malpractice reports with the relevant authorities, instead of inflaming the public with unfounded claims. He argued that reporting culprits and furnishing police officers with evidence is the best way to deal with such cases. Meanwhile, South Sakwa Ward aspirant Mr. Ken Ouma has denounced rumors that he was arrested with fake ballot papers, saying the allegations were maliciously made by a political opponent. Mr. Ouma said politicians should engage the public on policies instead of slinging mud at their opponents.